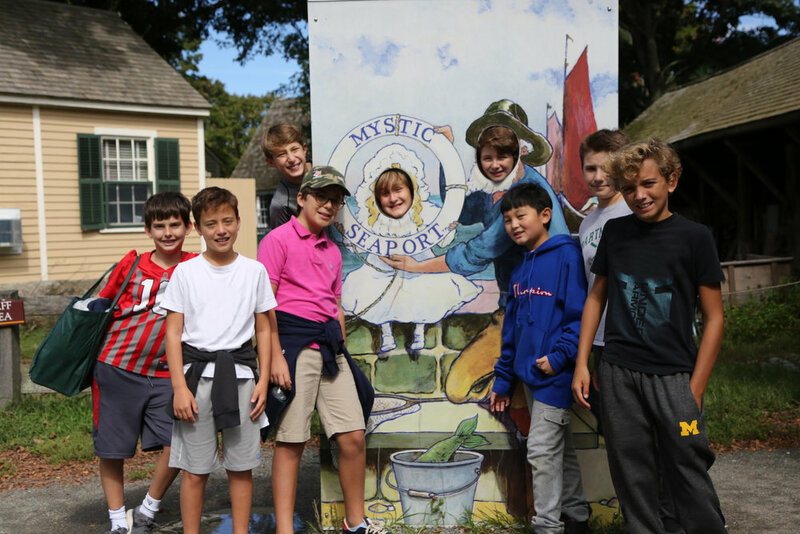 The fifth grade class spent time learning more about how colonial America’s seafaring past shaped life today when they took a recent overnight trip to Mystic, Conn. This annual event started with a visit to Mystic Seaport, a maritime museum that has been painstakingly preserved from its days as a whaling port in the 1800s. 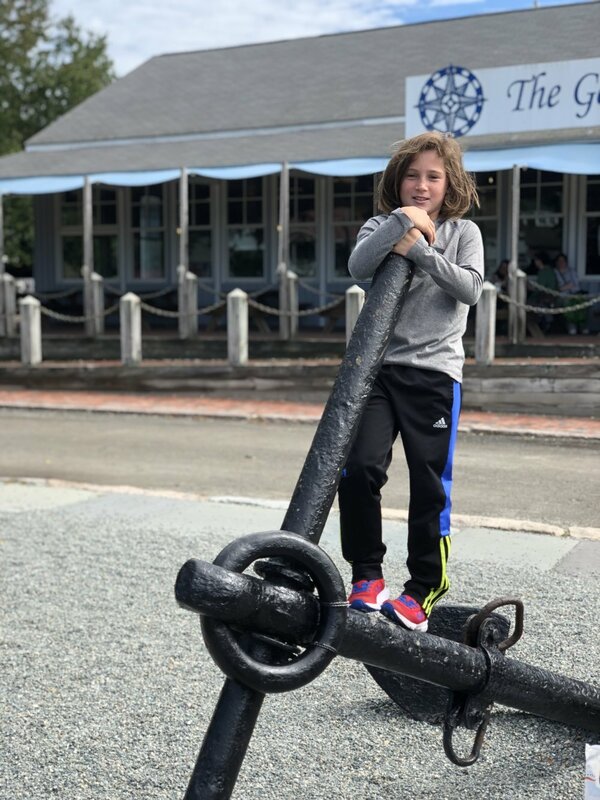 Under the kind of sunny skies that any sailor can appreciate, the boys explored the shipyard and waterfront where they climbed aboard historic landmark vessels, including the Charles W. Morgan, the last wooden whaleship in the world. They also viewed the seaport from the vantage point of a 25-foot motorboat – a popular type of vessel in the decade before World War I – as they cruised the waterways. Such experiences help to inform the boys’ study of the Age of Exploration, which will conclude with the building of their own Portuguese Caravel model later in the school year. The second destination on their September trip was Mystic Aquarium, the only New England facility with beluga whales. The boys enjoyed an afternoon show featuring Steller sea lions, interacted with stingless stingrays, and were mesmerized by the African penguins exhibit. The final stop on the Mystic tour was the Mashantucket Pequot Museum. There the boys viewed the life of pre-colonial era Native Americans at close quarters, taking in details of tools, practices and social structures that will inform their social studies curriculum at Browning. New Head of Middle School Danielle Passno commented on her trip with the boys: "I was so impressed with the enthusiasm the boys had for all the activities we did while on the Grade Five trip. They made the most of every opportunity presented, and they also made us proud with how they carried themselves throughout the trip. It was a wonderful adventure full of learning and class bonding."